Piano Instruction - All Levels. Accompanist. Serving Northeast Indianapolis - Glendale, Castleton and Geist. Can't wait for spring! In April head to Metamora to see the spring wildflowers in the Whiteriver Valley area. Plenty of redbuds, phlox, hills and other delights to wander through and savor. See Grand Touring page for full details. Don't know why. 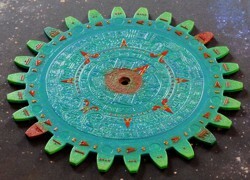 But it has taken a few years to paint these gears. The game sure is more fun to play with painted gears! Done At Last - Formula De Cars! Over 10 years ago I picked these cars up to paint them. A year ago I finally started painting the cars off and on - mostly off! But at long last they are done. Playing Formula De is definitely more fun with these cars. After nine long months the Character Meeples from the Kickstarter of MeepleSource have arrived and Connie decided to see what would happen when Character Meeples model for a photoshoot. The photo to the left became the 'Pic of the Week' on BoardGameGeek's 'The Geek Weekly'. 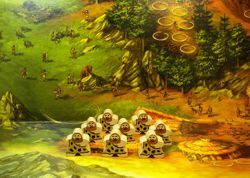 To see the rest of the photoshoot go to the Meeple Gallery. 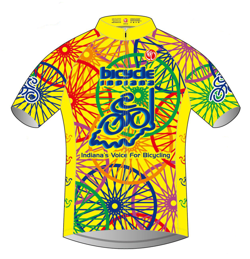 Bicycle Indiana asked me to design a jersey for their organization. This image is the final design. (more images) The Bicycle Indiana cycling jersey is being manufactured by NimbleWear USA. The jersey is available as a club cut (a little more room) and a racer cut (think Euro sizing), available with short sleeves or sleeveless. The jersey has a full zipper and is made of a lightweight, wicking fabric. When you place your order you'll want to specify your size, whether you want your jersey in male or female sizing, and the fit you prefer, Club or Race. Sizing seems to be a snug fit. You may want to order a size larger than normal if you want a loose fit. 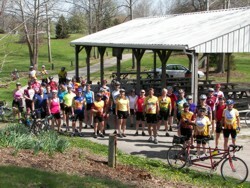 Contact info@bicycleindiana.org with any questions and to find out when the next ordering period is. 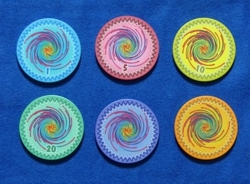 I enjoy playing board games and it is a lot more fun to play with poker chips instead of cardboard tiles for points and money. Connie recently took photos of all of the chip art that I have designed for my poker chips. Visit the Chip Art Gallery. 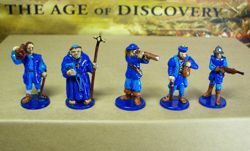 Over the last couple of years I have been painting 25mm minature figures for games that I play. I have finally decided to post some photos. Enjoy. 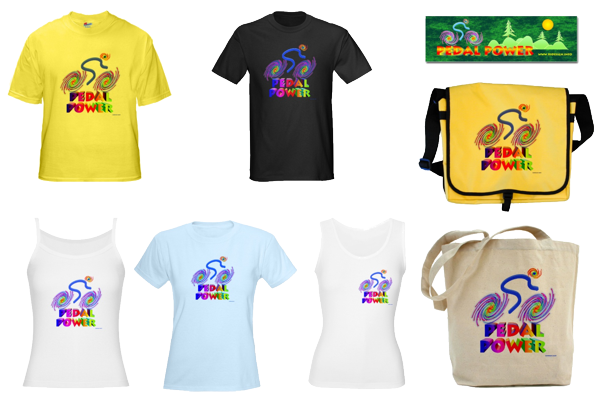 Get your favorite bicycle logo on T-shirts (men's and womens's styling, variety of colors), Bumper Stickers, Messenger Bags, Tote Bags, Magnets and other types of merchandise. Copyright 2009-2018 RS Design and its licensors. All rights reserved.